The mayhem had reached a peak. Dad had flown in a couple of days ago, and had expected to be on the road right away with the wedding invitations. He was in for a shock! The cards were not ready, and it was less than a month to the wedding. Of course, the onus was on me and Mom, and we had to explain exactly how it was that we had not been able to manage this. I huffed and puffed, and told him that he’s welcome to it, and that’s how it became my Dad’s problem. It is a good time for wedding invitations – never before has there been more focus on this (relatively) previously ignored area of weddings. This is the tale of wedding invites in my family. Both the cards were very similar, and likely reflect the times that those were – simple. So simple, that their design was not even the traditional “cover-and-inside” type, but more like placards. Elegant, yes – both were basic cream coloured, with some fancy lettering, and no unnecessary words – they even had the bus route numbers printed on them, for those with no cars. Those were cards that got the job done. They were created for one purpose only – to tell the guest where to reach, and when. They were then easily incorporated into albums and preserved. When asked, my parents said they had no say in the designing of the invites – indeed, there was no designing. Their parents just took care of it, and that’s that. Mom even said that she was shy to take a peek at her card! She brought one into her room, shut the door and then had a good look. Imagine that! And here we are, with my demands of a ‘different’ invitation card. It’s not that I want to splurge a ton of money on the invites – it’s just that weddings have evolved since the 1980’s. 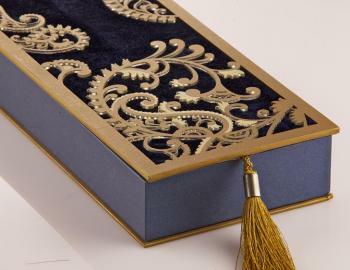 Now, an invite sets the tone of the wedding; it gives you a glimpse of what is to be, it promises colour, spirituality, even sensuality. And keeping that in mind, I did not wish my invite to be a run-of-the-mill one. It has been designed, and awaits printing – it’s a beautiful box in pink, with the bridal couple’s initials entwined on the cover. 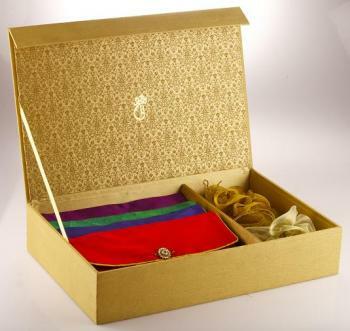 The actual card is inside the box, along with traditional Indian sweets. The card is a booklet that holds separate invites to each event – each with a different colour and theme. It is gorgeous and words cannot do it justice. I will put up a picture once it is ready. However, I can take zero credit for this beautiful design. My Dad is always one step ahead of me, and this is all his doing. I guess you know what to expect when you bring up a wedding-obsessed daughter. He may complain about the fact that this is sheer waste, but he will have it done come what may. My only problem – how will we preserve it? It cannot be incorporated into our album – looks like we’ll have this little box on some shelf somewhere forever. Times do change, and this is the journey of the wedding invite – from simple to extravagant, from one generation to the other, with love. How to Store Bridal Wear?